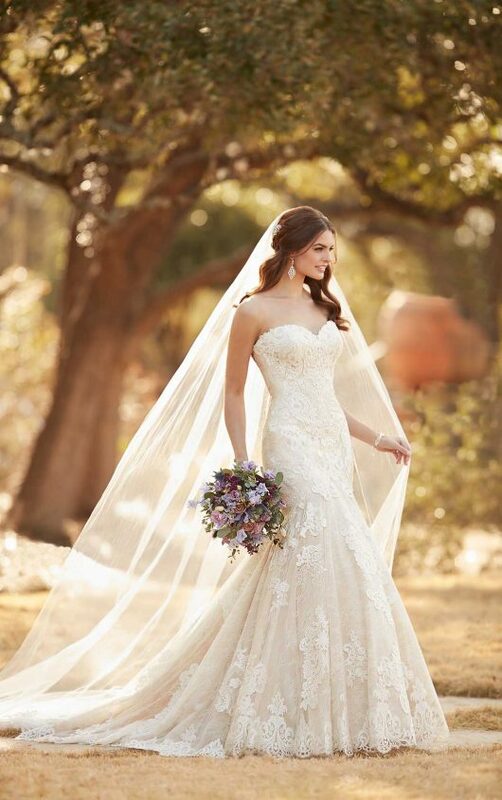 Classic brides, this Essense of Australia strapless wedding dress with scalloped lace is for you! 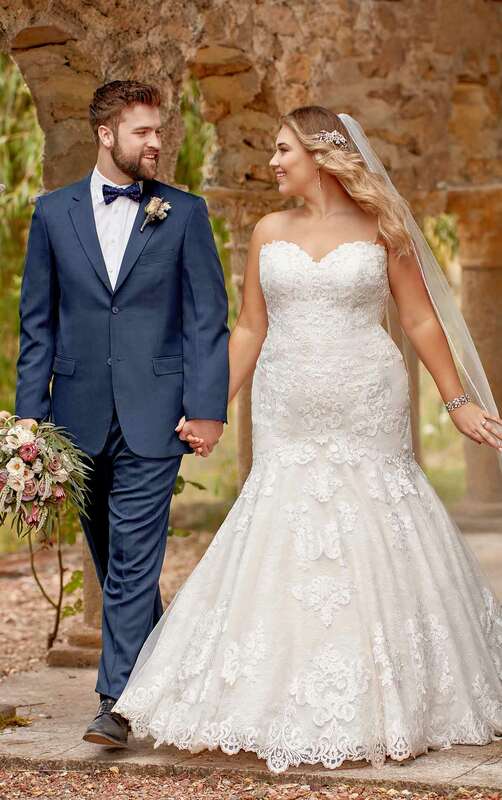 A slight sweetheart neckline, complete with scalloped edge, frames the face effortlessly, while the lace continues down the fitted bodice and flared skirt. Subtle sparkle throughout the gown creates an undeniable shimmer and gives this gown a hint of glamour. Patterned lacework is placed throughout the skirt and train, and the hem is finished with elegant scalloped lace. The back of this strapless wedding dress has the option to lace up or zip up beneath lace-covered buttons.